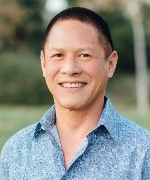 Jeff Quan has over 25 years operating, finance and middle-market M&A leadership experience. He is team-oriented, results-driven and has operated within wide raging environments from VC-funded startups to Fortune 50 entities. Jeff is experienced in growing organizations through strategic and channel development, corporate finance, and collaborative partnerships and transactions.